The Esperance Bohemian Wedding Dresses give you a sense of peace and reflection, like sitting on the beach listening to the waves crash on to the sand. This stunning gown is minimalist chic at its very best with the low-cut sweetheart neckline and thigh-high split. 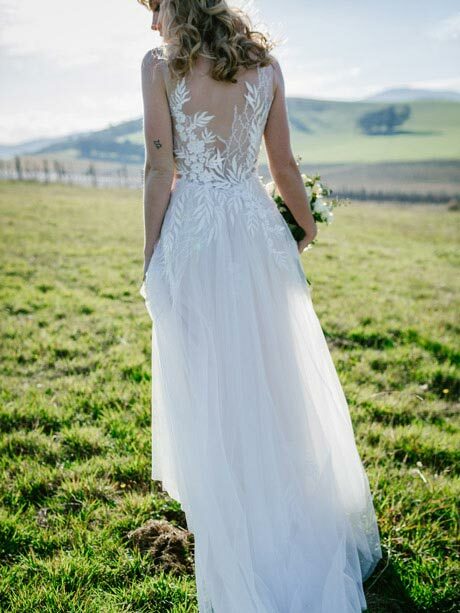 Let him whisk you away for a romantic beach side wedding at the drop of a hat with this bohemian Wedding Dresses the Esperance. This gown has a boho feel with simplicity and wearability at the core of the design. It is a wonderful choice for a destination wedding as it is an easy dress to travel with and trouble free to dress yourself. With two layers of quality stretch satin-like fabric at the base. A slightly stretch lace overlay with a graded modern floral design. The backless feature is stunning as it extends down to a small lace drape train with scalloped hem line. The long-line straps accentuate the backless feature and are highlighted by the subtle lace pattern. Bohemian Wedding Dresses like the Esperance are low crease and can be folded in to your suit case with ease. Not to mention wearing this gown will not restrict your breathing and therefor you be able to eat, drink and be merry with out a worry in the world. The Hello Lovers Dress Collection inspired by the boho style of the jewellery collection. Also by a desire to create something beautiful and easy to wear. Travel the world to get married – be worry-free, have an amazing gown and carry with you the touch of Australia we all want to hold on to. Size: Available in sizes 6 to 12. Bra details: Best for A, B, C, cup sizes sizes, as wearing a bra with this style is not possible. If we do not have you size in stock, it will takes 8 weeks to make and is made to a standard size. Please view our size chart here. 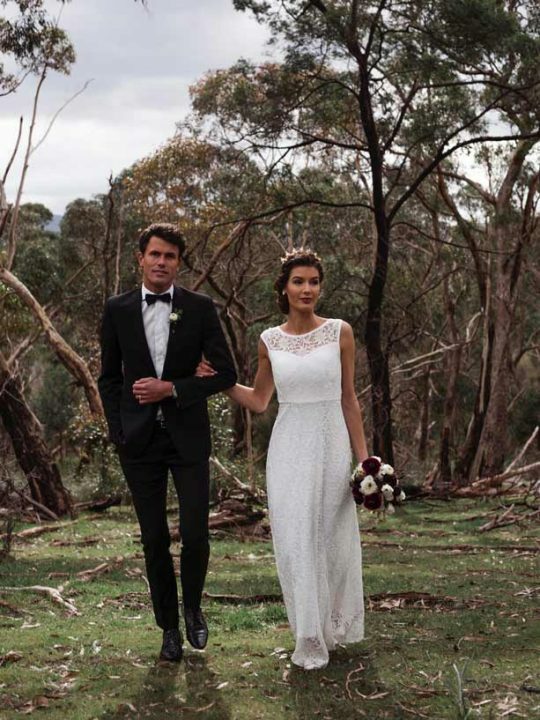 Esperance is on of the many bridal gown styles available. 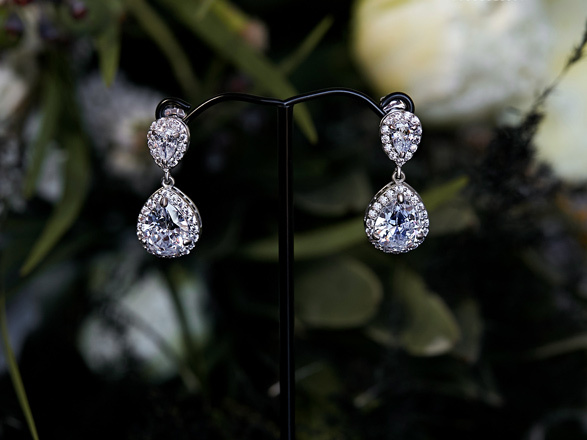 Wedding jewellery featured also by Hello Lovers. Recommended wedding jewellery for this lace gown. Sophia wedding jewellery set would compliment the Esperance lace gown beautifully. 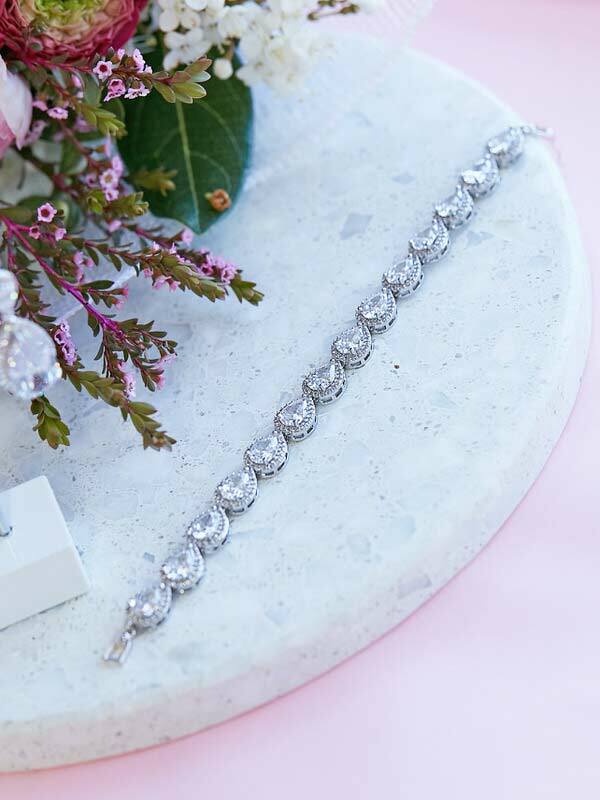 Add the Sophia bracelet and possibly the Sophia necklace to finish the bridal style.